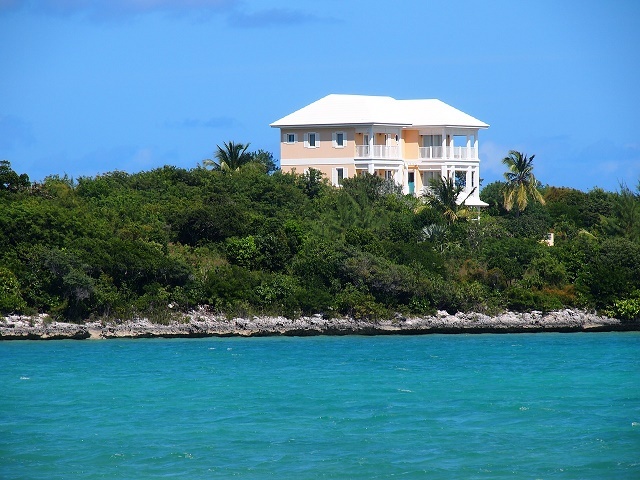 Expats moving to Bahamas will enjoy the country’s tropical climate, pearl white beaches, and luxurious lifestyle. The Bahamas is one of the wealthiest countries in the West Indies, after United States and Canada. 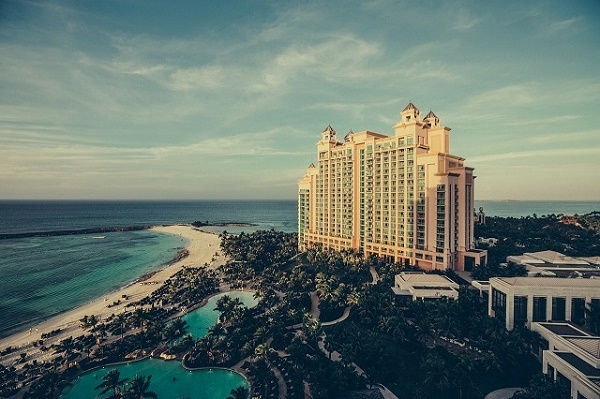 The tourism sector of Bahamas is its main lifeline, accounting for more than 60% of the country’s GDP and providing employment to a majority of the Bahamian population. A magnificent paradise consisting of 700 islands, cays and islets, The Bahamas is comparable to a slice of heaven on Earth. The capital city of The Bahamas is Nassau, and the country’s official language is English although several locals also speak the Bahamian dialect. The government of The Bahamas is parliamentary constitutional monarchy headed by Queen Elizabeth II. 85% of The Bahamas population is Africans, and the remaining 15% are Europeans, Asians, and Latin Americans. The country’s currency is called the Bahamian Dollar (BSD), which is pegged to the U.S. dollar. The Bahamas is known as one of the most prosperous countries in the Americas, with a progressive economy mostly sustained by the tourism sector – which employs 50% of the country’s labor force -- and financial services. It is also seen as a “tax haven” because the Bahamian government does not impose an income tax, capital gains tax, corporate tax, wealth tax or value-added tax. Instead, The Bahamas generates its revenue through stamp duties, import tariffs, real estate taxes and license fees. A high number of foreign nationals go to The Bahamas, either for leisure purposes, work or retirement. In 2012, the country had 5.7 million foreign visitors. Foreign nationals coming from EU member states, countries situated in the Americas, and countries regarded as “first-world” do not require a visa to enter The Bahamas. Those who come from neither of those above are required to obtain a visa from the Embassy or Consulate of The Bahamas in their country of origin. Most of the foreigners visiting or residing in the country stay on New Providence Island, where the capital, Nassau, is located and where 70% of the nation’s population lives. Due to the country’s location, the climate in The Bahamas is tropical Savannah – often dry and sunny for extended periods of time. The standard of living in The Bahamas is very high, attributed to the country’s impressive gross domestic product (GDP) per capita and excellent economy. However, expats planning to find a job in the country will be facing a difficult time because the government prioritizes hiring Bahamian nationals first – a move that also aims to lessen the unemployment rate in the country. Furthermore, foreigners require a work permit from the Department of Immigration, which will be applied for by the prospective employer of the foreign national. The Bahamas offers a wide array of leisurely activities for foreign visitors of all ages. Some of the popular tourist attractions in The Bahamas are Pirates of Nassau, Garden of the Groves, Graycliff Cigar Co, and Ardastra Gardens and Zoo. Since The Bahamas is surrounded by beautiful turquoise waters, majority of the tourist activities involve water sports such as sailing, kayaking, scuba diving, kite boarding, water skiing, windsurfing, snorkeling, and the list goes on. For food adventurers, don’t miss out on the country’s national food “conch” – a kind of mollusk that can be served raw or deep-fried with a twist of lemon, accompanied with rice and peas. Other types of seafood are also common, as can be expected on an island. Several bars and clubs in The Bahamas offer various activities for those who are fond of nightlife. There is more to the Bahamas aside from its great climate and beautiful beaches. This fantastic archipelago located in the Atlantic Ocean has become a popular expat destination because of many employment opportunities in its tourism and banking sector. Currently, Bahamas is one of the richest countries in the Caribbean that’s why it's no wonder that you will find yourself relocating here. So aside from packing your bags, it's important for you to read the next few paragraphs that will serve as your guide as you start a new life in this coral-based island. You will find it useful to do a research of the Bahamas even before you relocate. Many real estate websites post rentals and properties in the island; giving you an idea of the neighbourhoods and price range. Once you arrive, it's best to contact local realtors to help you find the best house/apartment. These professionals are more familiar with the communities and have a wider range of option in the market. In Bahamas’ main cities, the average monthly cost of your utilities (water, electricity, gas and garbage collection) is €360. You can also get an unlimited internet connection for roughly €35 per month and make local mobile (prepaid) calls at €0.35 per minute. Many immigrants are buying real estate on the island because of its incredible scenic views. But as an expat, it's more practical to find a rental first which give you the flexibility to choose between a short term and long term lease agreement. 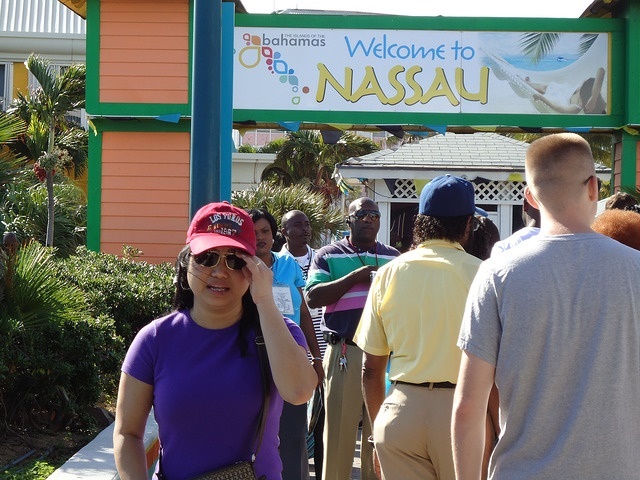 There’s a huge number of expats living in Nassau, the largest city and capital of Bahamas. The typical cost of a one bedroom apartment is €750 per month and €1800 for a three bedroom unit. You can also look for cheaper apartments in smaller towns outside the centre where starting price of one bedroom flat is €570 per month and €1300 for a three bedroom apartment. There are many international schools in the Bahamas like the Lyford Cay International School, Nassau page, which uses English and bi-lingual in teaching. You can also check some of the local schools that provide top quality education. One of the most prominent state schools in the island is the College of The Bahamas, which was established in 1974. Many companies provide shipping and removal service to the Bahamas. These professionals have a long experience in importing expats’ belongings to different parts of the globe so you can be sure that your packages will be safely and efficiently delivered to your new address. It takes approximately 11 days for the containers to arrive in the Port of Nassau where local customs officials are going to perform an inspection of the cargos. For more information about Bahamas’ import regulations, click here. You should get an import permit from the Ministry of Trade, Agriculture and Industry in Nassau before bringing your pet and make sure that it is six month of age or older. Also, you have to secure a Rabies Vaccination Certificate at least one month and not more than ten months before its arrival along with the Veterinary Health Certificate that you have to present within 48 hours of your pet's arrival to the Bahamas. Relocating in the Bahamas gives you the chance to improve your professional career and at the same time find an escape from life’s daily grinds just by spending time at the island’s pristine Caribbean beaches. Officially known as the Commonwealth of The Bahamas, this island country is composed of more than 700 islets and islands. With an economy based on tourism and finance, the Bahamas is one of the richest countries in the Americans in terms of its gross domestic capita. Along with its tropical climate, one can see why the country is attractive to expats around the world. Situated in the Atlantic Ocean just to the north of Cuba is the amazingly beautiful archipelago called named Bahamas. Aside from its booming economy, many expats choose to live in this country because of its undeniable natural beauty. Pristine beaches, white sand coastlines and waving palm trees are just a few of the reasons why the Bahamas is a top destination. Another major selling point of this archipelago is its small population of a little over 396,800 people which means that expats can enjoy living in a high profile nation without the hassle of overcrowding. Minimal income tax, excellent health care system and stunning environment await expats that are about to sail in the Bahamas. The Bahamas boasts several attractions that expats, particularly the kids, will love. One of the top family destinations is the Ardastra Gardens and Zoo, a five-acre park located in Nassau. It opened in 1937 and is now the home of the world-famous marching flamingos. There is also a mini zoo that houses over 200 reptiles, birds and mammals. Another popular attraction that expat parents can add on their ‘weekend trip’ list is the Pirates of Nassau museum which is an interactive museum where kids will see a pirate-replica ship. And of course, since the Bahamas is an archipelago, it’s no wonder why the locals’ idea of having fun has something to do with water. Aside from swimming and sunbathing, expats can also enjoy several water sports such as water skiing, snorkelling, sailing and windsurfing. Other popular past time in this country are tennis, golf, fishing and island hopping. Though the Bahamas is known for being an attractive destination, expats should still be mindful about their safety. Generally speaking, this country is a safe place, but there are still some reports of criminal activity. Most of the violent crimes normally take place among the locals and in major islands such as Nassau. However, visitors, as well as expats, can still fall prey to petty crimes like pick pocketing and theft. Newcomers are strongly encouraged to be vigilant when in public places specially when in the hotels, casinos and cruise ships since there have been cases of sexual assaults. There are also reports of locals pretending to be taxi drivers and then robbing and assaulting the passengers. When riding a cab, expats must take down the plate number and better yet, send it to their relative or friend just in case the situation goes sour. It is also important to avoid isolated streets and beaches, particularly at night. It is advisable for expats to visit the nearest headquarters of the Royal Bahamas Police Force as soon as they settle to their new home. They can notify the authorities about their arrival and ask for the direct number to call in case of emergency. Aside from contacting the police, expats can also seek assistance from their Embassy especially if it concerns their safety. Other emergency numbers that should be saved in an expatriate’s phone are 911 or 919. Most of the Bahamians are devout Christians, and they take religion quite seriously whereas it is normal for them to inject a Bible verse in a conversation. Government and school programmes usually start with a short prayer. Every Sunday, the Bahamians wear their best clothes as they go to church for their religious service. The people of the Bahamas are known for being friendly, informal and outgoing. Hospitality is also a common trait among the locals. It is common for them to be the one to greet first and to invite acquaintances to their homes. For them sharing a meal is the most usual and best way to build a personal relationship. Despite their warm personality, the Bahamians are also quite polite with a certain level of decorum. One of the best traits of the locals is their sense of humour. There is hardly a dull moment whenever the Bahamians gather since they are fond of throwing self-deprecating remarks or jokes to each other. For them, being self-deprecating specially if its done thru humour displays their down-to earth characteristic. The Bahamians also despise people that are arrogant. They practically have zero tolerance for those who condescend and act superior over others. To earn the locals’ respect, expats must remember to be humble and modest.